The story we know as Little Red Riding Hood is a very old one. The first printed version in the 1600’s is credited to a French author, Charles Perroult. 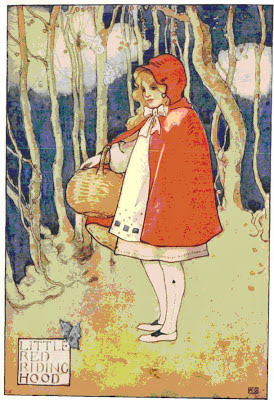 The early versions ended badly as both Red and her grandmother were eaten by the wolf. 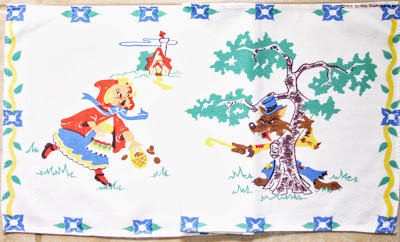 More familiar is the Grimm Brothers version in the mid 1800’s with both Grandma and Red escaping the wolf with the help from a hunter who had luckily wandered by. 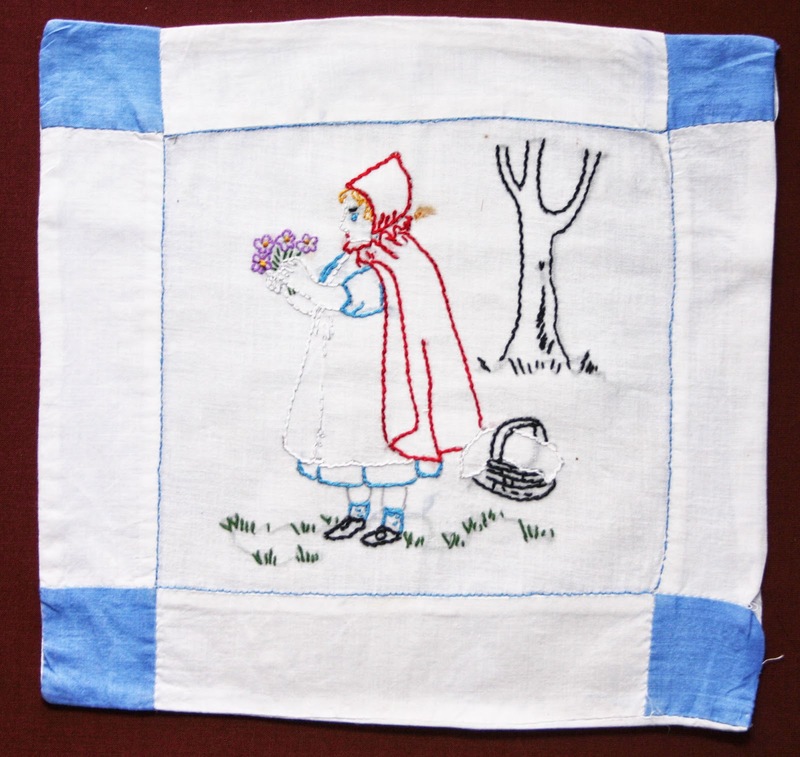 Textiles designed for children became very popular in the 20thC, especially in the 1950’s. Motifs with cowboys and Indians, space ships and cars were to be found on fabrics, which were made into pajamas, costumes and interior décor textiles for children’s rooms. For young children there were familiar nursery rhyme and story book characters. 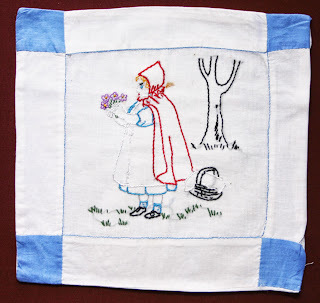 Embroidery patterns were designed for quilts and baby blankets. A search through your favorite antique shop or thrift store just might reveal a real treasure to add to any child’s bedroom. fabric - c.1953 by Geo. Shamyer & Co.